When I first spied the mushroom in my front yard I saw it as a photo opportunity. I watched it grow, seeming to magnify right before my eyes. I watched it for days until I found it kicked across the yard one morning–and then, once it was turn upside down, I captured what I had missed by looking at only the outside surface with my camera. 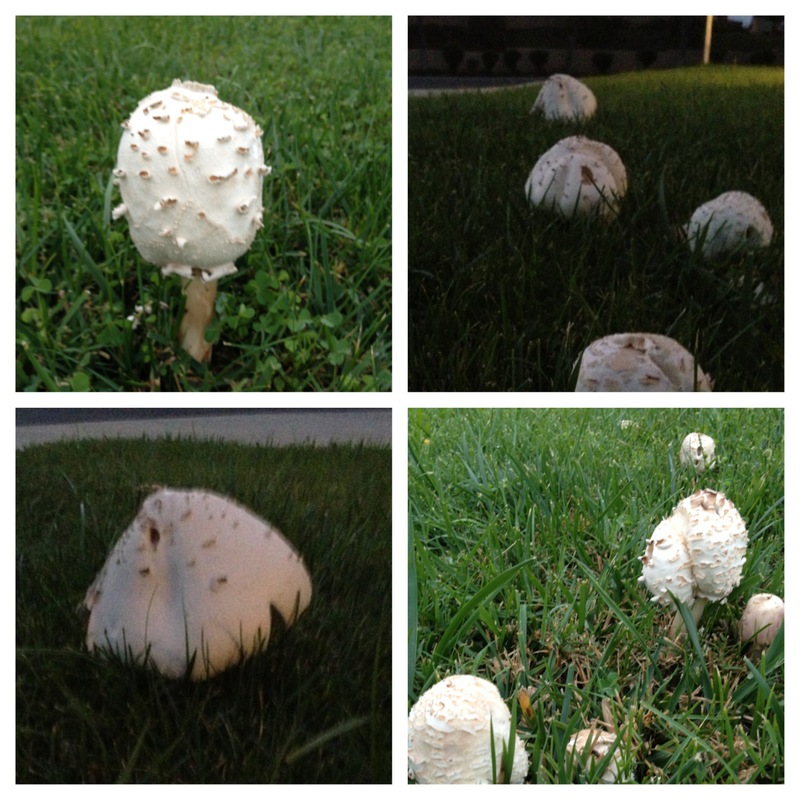 The following week I noticed a few more mushrooms growing in my lawn. Again, I watched them grow…this time with some “portholes” to look inside and see what was beneath the surface. I got out my macro lens and worked to capture my secret view of the underside of the mushroom. 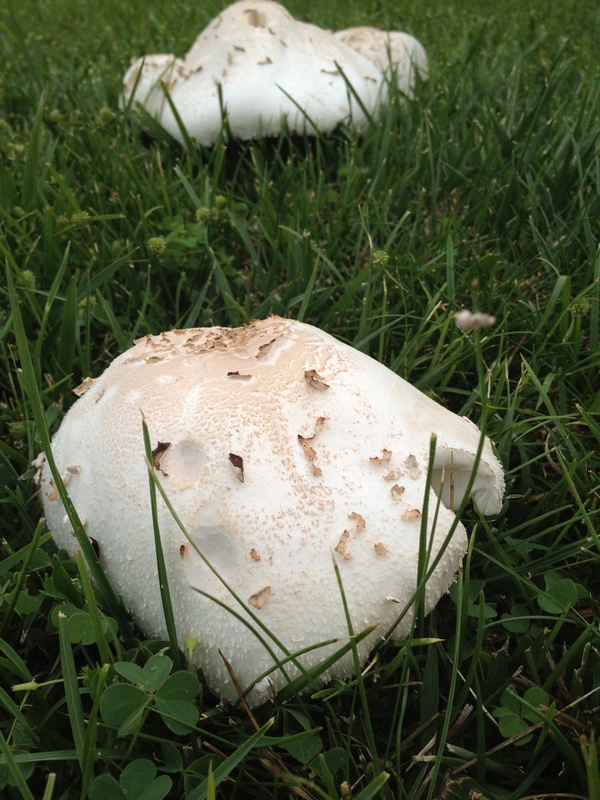 And then this morning it seemed that an entire forest of mushrooms has exploded on my lawn! One was so round and on a tall stem…looking almost like a lollipop. When I got home–late (meeting and then traffic)–that forest had ballooned, each mushroom doubling in size from this morning. And while my photos don’t really capture the drama of the growth, my eyes registered it. And now I’m thinking that these fascinating mushrooms are becoming a problem. What started as an interesting novelty has become a bit of an eyesore. Just where do these mushrooms come from? What effect do they have on my lawn? How do they multiply? What is making them thrive in my lawn? And now…how do I get rid of them? This entry was posted in nature, photography, Uncategorized and tagged iphoneography, mushrooms, mystery, photography, questions on September 17, 2013 by kd0602. When you find out how to get rid of these mushrooms, can you let me know? We have had a problem with mushrooms in our front yard. They seem to spread, too. I am knocking on wood, because I haven’t seen any lately. I am not sure what my husband, Kevin, did to get rid of them. But, I have heard they are difficult to erradicate!